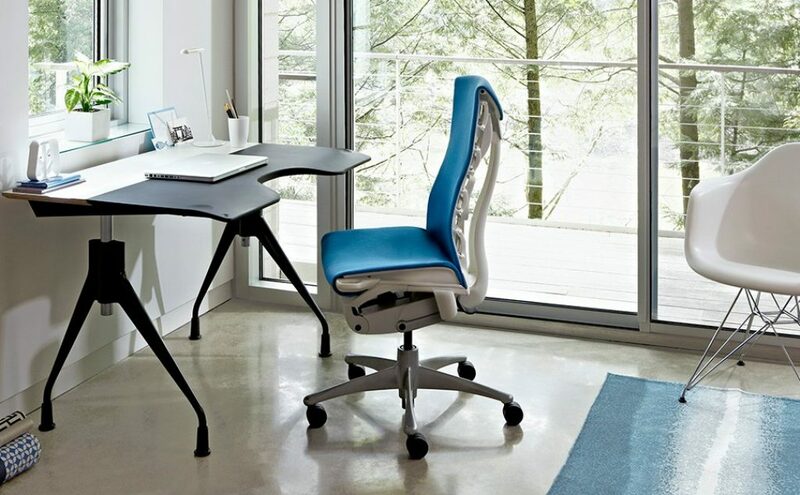 If you spend most of your day sitting in front of an office workstation, you should have a chair that’s comfortable and ergonomic enough to withstand hours of sitting. You shouldn’t have any lower back pain, and the chair should be comfortable throughout the day. Since you are here reading this article, that means your current chair set up isn’t as comfortable as it should be. 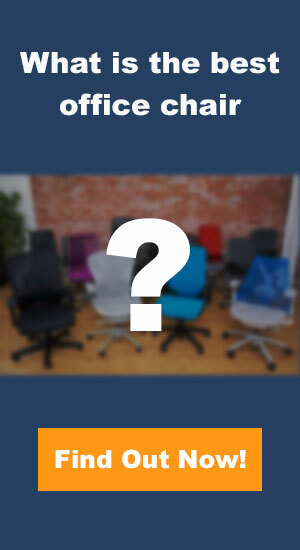 You may be thinking of replacing your chair, but that may not be an option for you. The good news is that there are ways to fix the issue. You can make some quick adjustments. Let’s read up on different ways to make your office chair comfier. First of all, most people just don’t know how to sit in a chair. Bad sitting posture may have a negative impact on your back, thus leading to lower back pain. You will feel uncomfortable despite the fact that the chair is perfectly fine. So, change your posture and sit straight. Your feet should be on the floor. Remember: proper posture is good for your back, and you will be able to focus on your work. Before you blame the chair, do check yourself! *At the time of publishing, the price was $59. A product like the Better Back can help with adjusting your posture correctly. 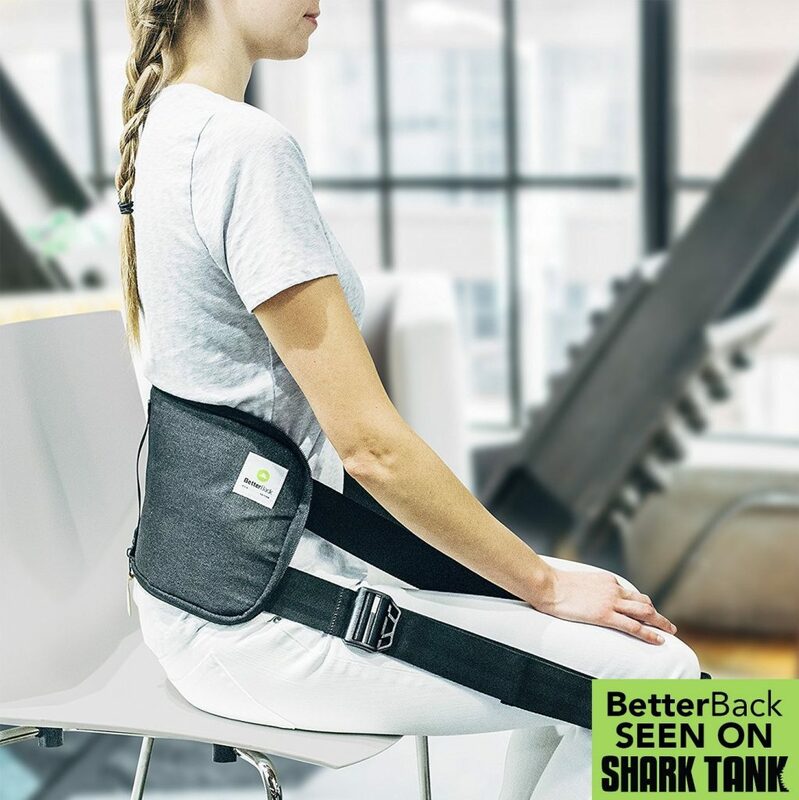 The Better Back was designed to correct year of bad slouching habits. Having a better posture can eventually lead to a more comfortable seating position. This is important if your office chair is a few years old. It’s a good idea to adjust the chair every other day before you sit down and check your emails. All you have to do is adjust the seat, height, back, and arms. It won’t take more than a few minutes. Make sure to understand your chair and read your manual! Daily usage knocks the adjustment out over time. As a result, you get tired pretty quickly. So, before you take other steps, take a few minutes and “tweak” your chair a bit to see if it works for you. However, we have noticed that there is a lot of chair on the market that can hold up for a long time, such as the Herman Miller Embody. This chair has been top ergonomic chairs on the market and can last you a very long time. You can buy lumbar back support for your office chair, especially if you have back pain. The product is designed to support the curvature of your back while you are sitting in the chair. The product also offers more padding. Today’s high-end office chairs come with built-in lumbar support for additional support. This is something that you can consider if it’s your back that is forcing you to replace your chair. 100% pure and is made of the exact same material as the world’s leading memory foam products. Relieves and alleviates both acute and chronic pain from backaches, muscle aches, arthritis, stenosis, herniated disks, and general sore backs. Everlasting Comfort has been the top selling and highly rated lumbar support. This lumbar support is 100% pure memory foam back cushion that is orthopedically designed for lower back pain relief. You can use this for your daily office chair or perhaps in your car if you have long commutes. You may be thinking it’s the chair that is making you feel uncomfortable, but it may not be the real culprit. At times, the problem is somewhere else. For instance, In this case, your feet may be the cause of the problem. They shouldn’t be “hanging” while you are sitting and working at your computer. When sitting in a chair, your feet should also follow a proper posture. For this, you can opt for a footrest to keep under your feet for property sitting posture. This will help you keep your back aligned and maintain circulation. 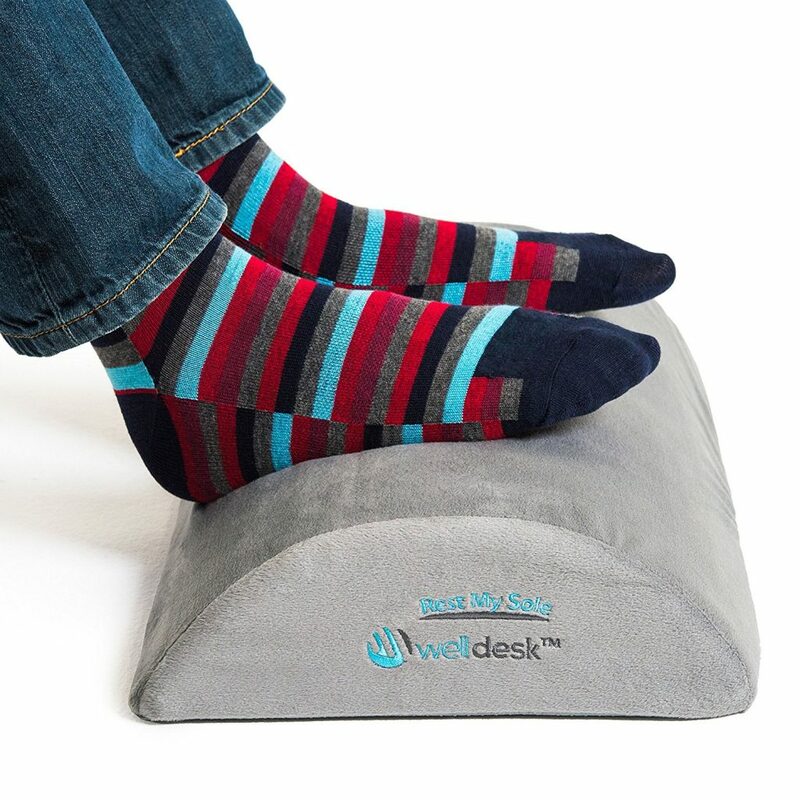 Rest My Sole foot rest pillow features a comfy yet supportive resilient foam foundation at a height that leaves room for your knees under the desk, and will not wear out or deform with daily use. The Well Desk footrest is an excellent option for your office. This will help eliminate any fatigue you have on your feet and you’ll be able to stay in your chair more comfortably while getting your tasks done. The combination of this footrest and lumbar support can help with blood circulation and provide good habits to your posture. Most people don’t pay attention to this part of a chair. If your shoulder muscles are tight, know that it could be because of the arms of the chair that need to be adjusted. You can also add adjustable if your chair doesn’t have them already. These arms will support your arms so that they don’t stiff. Again, the adjustment won’t take more than a couple of minutes. You can increase or decrease the height based on your needs. Some people are tall while others are short. If you are tall or a bit overweight, make sure you opt for the right type of chair. Losing a few pounds may also help solve the issue, but this may not be feasible for everyone. You can make a couple of adjustments to your chair to feel comfortable. For instance, you can remove the arms for a better fit. At times, it’s the office table that needs to be adjusted, not the chair. Because most desks are at 29-inch, which is the typical desk height, this might be too short or too tall for some people. Based on the type of project you need to work on, make sure you adjust the table height. Keep making changes and stick to a position that works the best for you. 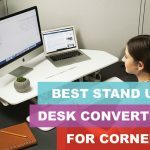 You may want to consider getting an adjustable standing desk converter. Height-adjustable to different positions for ergonomic comfort. Remains sturdy and stable even when fully extended. *At the time of publishing, the price was $395. 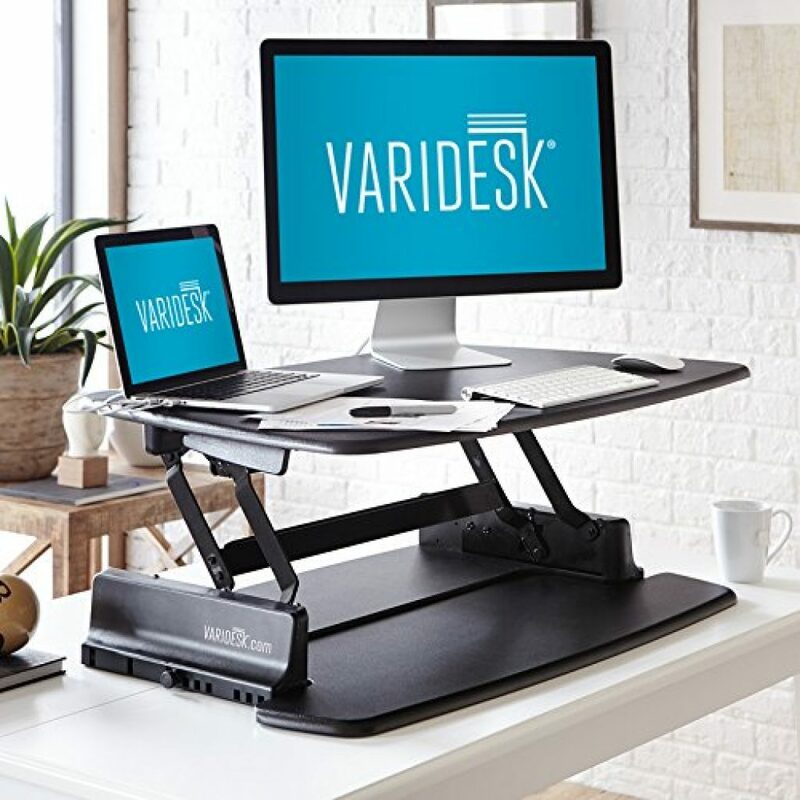 Varidesk has been a very popular standing desk converter brand for years, and you won’t go wrong with the company as the customer service is their number one priority. Switching between a sitting position to a standing position can keep you active, promoting energy, and eventually give you a more comfortable experience. If nothing seems to work, maybe it’s time to make some modifications. Most of the office chairs have wheels, but if yours doesn’t have or if the wheels don’t work properly, you should get new wheels. The wheels will make it easier for you to move around in the office room. They are available in different types and sizes, so make sure you opt for the perfect ones. This technique may help you make your chair more comfortable without investing in a new chair. If you have tried all the methods explained above, but the problem is still there, then the only way out is to get a new chair. A new chair will cost you a few hundred dollars, but we think that investing in a comfortable chair will be worth it, especially if you’re currently having back problems. Keep in mind, the cost of having a premium chair will be higher if you want the best and most ergonomic chair. We suggest you look into the Embody Chair by Herman Miller, as they’re one of the top most comfortable chairs on the market. By stimulating blood and oxygen flow, Embody helps keep you focused and relaxed at the same time. *At the time of publishing, the price was $1,295. I hope that the tips shared in this article will help you make the necessary adjustments to your office chair so that it becomes more comfortable. After all, your productivity depends upon how comfortable you are while doing your office work. And lastly, make it a habit to take breaks after each hour and walk around for a minute or two. Hope this helps!